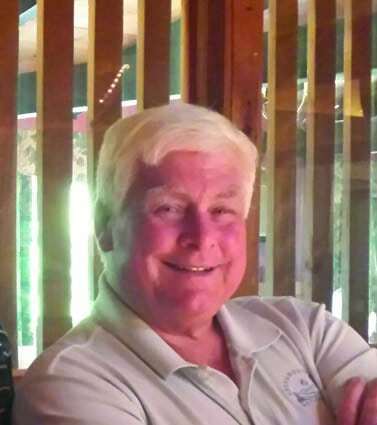 Leo J. Davin, Jr., 73, of Killington, Vt. passed away peacefully on Wednesday, June 15, 2016 at Dartmouth Hitchcock Hospital in Lebanon, N.H., from complications resulting from cancer and a blood disorder. Leo Davin was born in Norwich, Conn., on Sept. 20, 1942. He was the son of Leo J. and Alice (Higgins) Davin. He grew up in Hamden, Conn., graduating from Hamden High School in 1960 where he played varsity football, basketball and baseball. Following his graduation from college, he began a 42 year career in the insurance claim business, working 32 years for Aetna Life and Casualty and 10 years for Travelers Insurance Company, retiring in 2006 as a Second Vice President in the Commercial Claim Division. Davin retired to Killington, Vt., where he became involved in town politics serving on several town boards. He loved to ski, golf and travel. Known for his outgoing personality, positive attitude and ever-present infectious smile, Leo Davin had many friends. Davin is survived by his sister Alyce (Davin) Wade and her husband David of Shrewsbury, Penn. ; his daughter Suzanne (Davin) Ergastolo and her husband Philip, and grandson Joseph Leo of Chicago, Illinois; and his son James J. Davin and his wife Dava, and grandsons Cole and Ty of Cumberland Foreside, Maine. A graveside service will be held on Saturday, June 25, 2016 at 10 a.m. at All Saints Cemetery, 700 Middletown Ave., North Haven, Conn.
A Celebration of Life will be held in Killington at a later date. The Davin family would like to thank Dr. Seigne and Dr. Bengtson and their teams, as well as the nursing staff at Dartmouth Hitchcock for their exceptional care. Prior to his passing, Davin asked that, in lieu of flowers, donations be made to support the work and research of Dr. John Seigne and Dr. Elizabeth Bengtson at the Norris Cotton Cancer Center. Memorial contributions may be made to either Dartmouth-Hitchcock Health/Urology noting the gift is in memory of Leo Davin or “Lymphoma Research Fund NCCC” noting the gift is in memory of Leo Davin, Acct #22602. Send your gift to: D-H Office of Development, One Medical Center Drive, Lebanon, NH 03756-0001. To make your gift by phone, please call 603-653-0759.